…so how did it go? His debut UK album, which entered at number 16 in the charts was the focus of the night and despite my misgivings about this being neither a musical theatre night or an out and out concert of his own material – this was just a sublime evening’s entertainment. There were a few brief trips to Musical Theatre Land with The Impossible Dream, Radames Letter, ‘Til I Hear You Sing, a banjo version of Oh What a Beautiful Morning, Somewhere and Bring Him Home and, of course, an encore of Music of the Night: these showcased his considerable vocal skills at their best, however, they weren’t what moved me most. 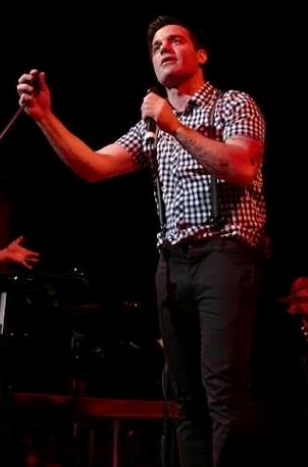 He actually looked uncomfortable singing these songs and I think the rapturous reception with which his own material was received made him all the more keen to shake off the shackles of musical theatre. Each of the original or collaborative compositions from the album were delivered with such sincerity that you couldn’t help but be won over. All of the songs from the album also played out much better live than on the recording – the life he gave to them on stage elevated them to a level that the production of the album couldn’t. He is obviously a deeply spiritual man and he talked about his journey from Iran to Canada via Italy, and eventually his leaving his home and family to come to London with one suitcase to “become the Phantom” and now “well I’ve done that – what now?” This concert was aptly titled The Road To Find Out and the way the material was presented here, really made you want to go on the journey with him. His first guest Jonathan Ansell provided a musical theatre moment for the crowd with Gethsemane from Jesus Christ Superstar, a duet on Muse’s Guiding Light and a surprisingly good version of Queen’s Somebody To Love which raised the roof. Second guest Simon Bailey, currently Raoul in the Phantom national tour also provided a moment of musical theatre magic with Why God Why? 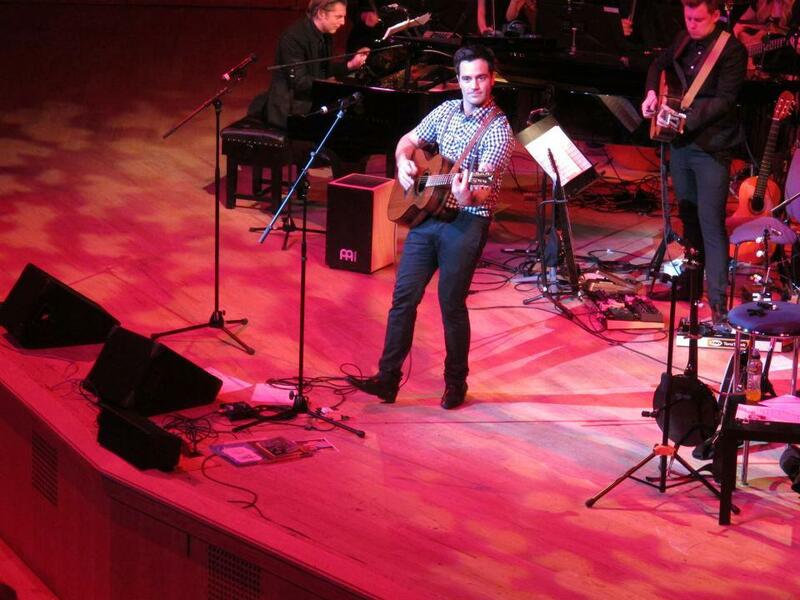 from Miss Saigon as well as an emotional duet with Karimloo which Bailey dedicated to his recently deceased father. The night finished with a second encore of Green Day’s Time of Your Life with the good citizens of Glasgow providing the final words of the song. This is a calculated move away from musical theatre and it’s great to see an artist of Karimloo’s talent spread his wings, previously I would have cautioned against any musical theatre artist completely abandoning his roots – but I would urge Karimloo to have the courage of his convictions and take the time to grow and develop as a songwriter as this was a truly magical night. I would also hate to see him abandon the theatre stage as his is a rare talent – the West End would be bereft without the promise of him eventually returning. I was a fan before, but I’m an even bigger fan now. A truly special evening.